Imagine if your grandmother’s doctor could receive a notification about whether she has been taking her medication as prescribed, or on time. The concept is within reach. 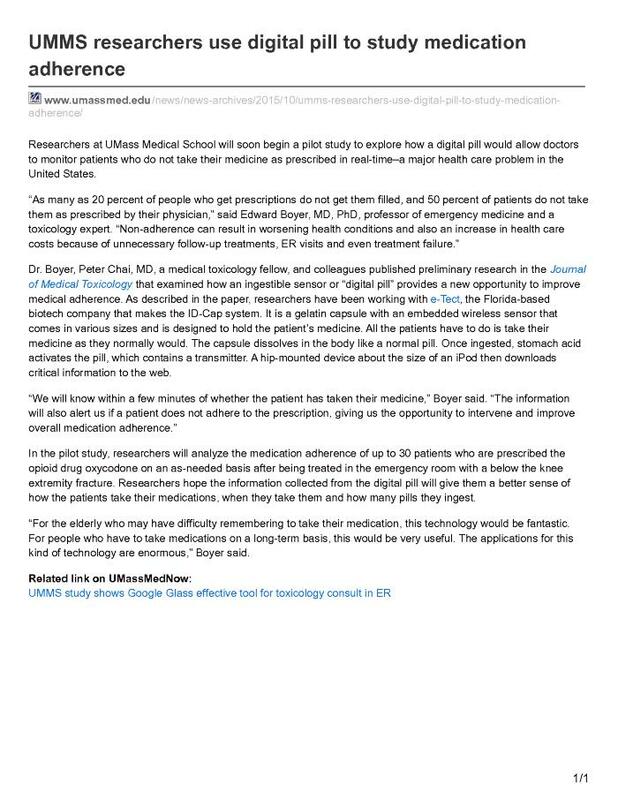 Researchers at the University of Massachusetts Medical School are exploring how smart pill technology, also known as “ingestible sensors” can be used to help tackle the problem of medication adherence—when patients forget or choose not to take their prescribed medication, or take then incorrectly. Non-adherence can result in multiple health care problems, including unnecessary follow-up treatments, ER visits and even treatment failure.